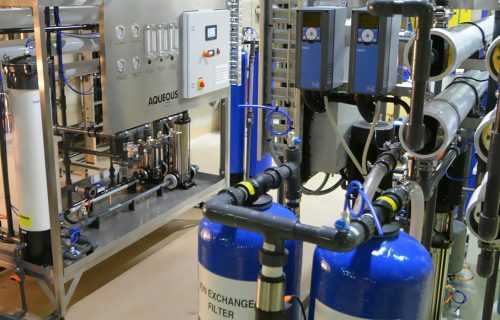 Regional Base Hospital required a reverse osmosis plant that would meet the current water requirements of their CSSD and with additional capacity to meet the future water needs of the hospital local distribution. Communication with Building Management System - allows initiation of disinfection cycle by the building management system and remote monitoring of plant. UV Sterilization System - constant circulation of the stored water through a UV sterilizer. Pure Water Distribution Loop for washer and sterilization machines. Automatically Programmed Thermal Disinfection System - achieves routine and frequent disinfection of the loop and storage. No softener salt or other consumables required.